In Part 2 of our continued series on tactical shifts in the modern game, we examine the role of the defender. The role of a central defender is obvious on paper. First, defend. Press, mark, tackle, intercept, foul if need be, cover your team mate. 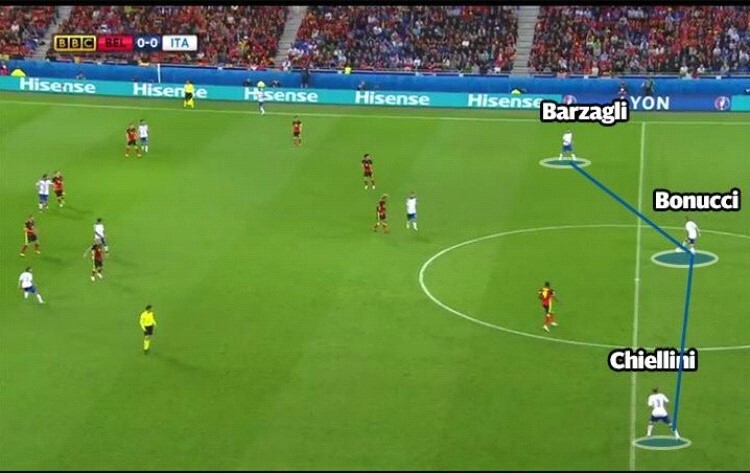 Possess positional awareness, play an opponent offside, cover spaces and half spaces, make clearances. Straightforward job description. This is all very well good and the basis upon which the art of defending should be carried out. The basis? Yes, the only way? Not exactly. This is where the libero or “ball playing defender” comes into play. Defenders normally make offensive input by attacking dead balls via set pieces. The libero is different. He contributes to attack by actively taking part in build-up play. How many defenders embody the traditional view of the role as well as Pepe does today? Horizontal balls side to side as well as vertical balls through the lines, aiming passes that traverse opposite ends. The libero, with one simple ball, can beat a whole team and leave his forward in a 1v1 with the opposing goalie. He can also help beat an adamant press by carrying the ball out from his defensive line into midfield. as soon as he does this, he often disorganises the opponent’s shape, creating space and opportunity for teammates. Football legends like Franz Beckenbauer and Franco Baresi were feted for their uncanny ability to orchestrate attacks from deep. Set apart by being comfortable on the ball, their renditions of the libero role are always highlighted by coaches and pundits alike. The top teams have at least one libero. From Sergio Ramos to Gerard Piquè, Jerome Boateng and Leonardo Bonucci amongst others, all have the ability to carry out the basic tasks of a libero. Others play this role to various degrees of success. Bayern Munich, having recently acquired Mats Hummels now seem to have two of the best. It should be intriguing to see how that plays out, quite literally. As with ball playing keepers, being able to “play it out from the back” is not an essential attribute to a central defender. However, having such a tool is surely more of an advantage than what a non-libero would have. Who are your favourite liberos?